Nasavoda.sk is a new project about the wealth of natural waters for MINERÁLNE VODY a.s.
MINERÁLNE VODY a.s. with its brands of mineral waters, namely Baldovská, Drobček, Salvator and Savior, is one of the largest mineral water producers in Slovakia. As their partner for content marketing, we have launched the project nasavoda.sk (meaning "our water") for the client, which has been nothing but successful since its inception. Nasavoda.sk is one of the youngest projects of ContentFruiter that went through a very interesting launch and reached several milestones shortly after. When creating the idea, the focus on the wealth of waters in Slovakia got not ​​only our attention but also that of the client, so by the end of May 2017 the project was officially launched. From the very first moments it was clear that the topic of “water wealth”, water attractions and proper hydration would be very interesting on the market. Currently, the portal gets more than 1000 unique users a day, and on several occasions was also mentioned in the media. Slovaks like and are proud of their natural waters -- and we have fully utilized this fact. Baldovská, as one of the most traditional mineral water brands in Slovakia, is gradually becoming the synonym of the "our water" phrase and is gaining fans not only amongst the older generations, who already recognise it, but also amongst the young people. And that being the goal of the project - to reach and build brand awareness amongst younger generations as well. As the statistics show, the most represented amongst the visitors of the portal are people aged 25-40. 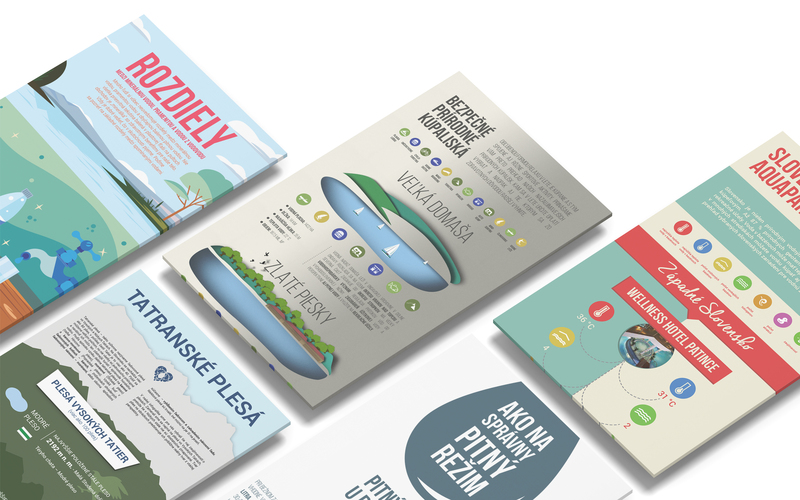 Every visitor has a unique opportunity to learn more about Slovak natural water sources and locations, get tips for visiting various water attractions, find important information about proper hydrations or download the one of a kind e-book, which became the first electronic publication devoted to Slovak water.